Start 2018 off right by aligning your best practices. Enterprises worldwide are rapidly adopting the cloud-based model for their business communications, with users attracted to its low start-up costs and ease of implementation, maintenance, and use. Leaders recognize the importance of enabling their organization’s employees and understand how changing the user experience streamlines communications and collaboration so that knowledge workers can apply their undivided attention to the priorities that matter. With so many factors in its favor, the future of cloud solutions is very bright—and lucrative—especially at the enterprise level. Prospecting enterprise-grade clients takes time, patience, and effort, with the goal of producing qualified prospects and new customers. Following the guidance below will increase your chances of achieving successful campaign results. There are four key components in prospecting enterprise clients: research, customized communications, the qualifying conversation, and handling objections. Identify the right decision makers. Typical decision-maker titles include manager, director, VP, CIO, or line-of-business director of IT, sales, support, operations, or HR. Study the enterprise’s website to isolate pain points or trigger areas that your solution would solve. Visit LinkedIn to learn about what you may have in common that you can use to jump-start a conversation. At the very least, make sure you’re clear on their industry! Pay attention to the first paragraph: Be concise, and get straight to the point. Remember, most people open emails on mobile phones. Avoid sending from an anonymous “team” or company: Testing has shown that response rates are higher if an email goes out from a person’s name and includes a personal signature with contact information. Call the hand raisers: If you don’t have a “fancy” email marketing automation tool, try Yesware or Streak, which are inexpensive, easy-to-use alternatives that will allow you to identify those who open or click through to your email offers as “hand raisers” who are interested in learning about your enterprise-class solution. You can then call the most qualified people by starting with those who click through to your content. Download a complete Sales Prospecting: Enterprise Clients campaign here: All of the campaign components are completed for you and follow these best practices—and more. Login with your RingCentral credentials to access. Third, time for “the conversation.” Don’t just wing it. In order to effectively sell your solutions, you need to be able to assuage your prospect’s business concerns, make a compelling case, and get them to move toward yes. Remember that research you conducted earlier? Keep the notes on your prospects handy so you can jump right in to a personalized conversation. Be curious. Ask lots of questions to understand the objection. Isolate the objection as the final objection (if appropriate). Ask about their ideas of what a solution might look like. Ask for their thoughts on your options. Now that you have read up on best practices for effectively prospecting enterprise clients, give it a shot, and implement these tips to optimize your chances for success. Click here to download a full enterprise campaign in a box, then contact your channel manager to get started! 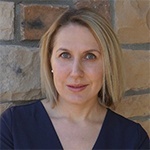 Lisa Del Real, the AVP Global Channel Programs & Operations for RingCentral, is responsible for managing channel operations and driving partner enablement for 6k+ partners. Upon her hire in 2011, she was essential in driving the success of RingCentral's Partner Program by implementing certifications, launching the partner portal with partner tools and resources, as well as driving sales. In 2015, Del Real was notably named "Woman of the Channel" and ranked on the "Up and Coming" list by CRN, both prestigious accolades in the channel. She subsequently was named Woman of the Channel in 2016 as well as secured the first Five Star Channel Program award in RingCentral's history. Previous to RingCentral, Del Real was the COO of a private mortgage company specializing in multi-state lending licensing wherein she obtained a pending patent for a lean, strategic lending technology. Combining both business and technology early in Del Real's career, she was a research assistant at Accenture Technology Labs and worked to determine and predict the future intersections of business and technology. Del Real holds a bachelor of science degree in Electrical Engineering from Stanford University. Connect with Lisa on LinkedIn or Twitter.